Nocturnal Serenade, book 2 in the Nocturnal Lives series, is now available. You can find it on Amazon or through Naked Reader Press. It should soon be available through Barnes & Noble as well as Smashwords and other outlets. 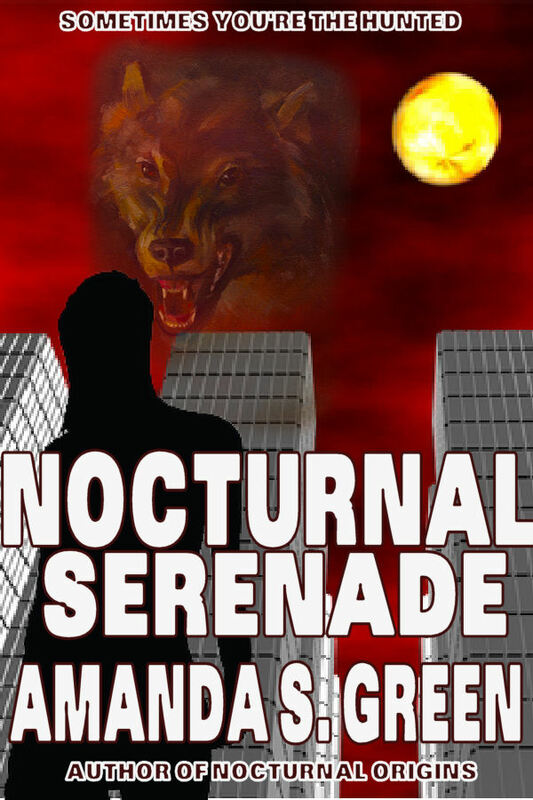 The first book, Nocturnal Serenade, is currently available through Amazon. It will return to other outlets in the near future. To go with the release of Nocturnal Serenade, I have a great new cover for Nocturnal Origins. I liked the original cover — and you can still find it on the hard copy version of the book — but I think the new cover is more accurate to the novel. Many thanks to Sarah A. Hoyt for the design of both covers. Next month, my short story Nocturnal Haunts will also be coming out from Naked Reader Press. It will be available for individual purchase as well as being included in the anthology Sisters in Blood (Kate Paulk, Sarah A. Hoyt and myself). As soon as I have a publication date, I’ll post it. So, I guess that’s about it for now. Back to the keyboard to write some more.